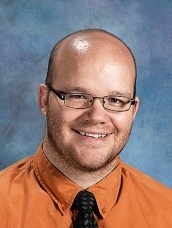 Kevin Rich is an English Language Arts teacher at Lakeridge Junior High School (a model DuFour School). Even as summer begins, Kevin still has teaching on the brain. In this post, he shares some ideas for using formative assessment in writing. The sun is out, the birds are singing, I can hear the ice cream man, and we are talking about formative assessment. For an English teacher, it doesn’t get any better than this. This past year I worked in a school where the average class included 39 students. Our student population is rapidly becoming more diverse and more economically challenged with 53% of our student population living in poverty. While the year started out a little rough, in the end, every single one of my students passed our State Writing Exam. I’d like to tell you about how we got there. For my classes, it began with the formative assessment. Often in English, teachers judge writing based on the final, summative evaluation. Teachers take their students through the writing processes but it’s up to the students to make sure the final piece is cohesive. As teachers, we usually end up skipping formative assessments in writing because they can be very challenging. 1. After you model a specific skill, give the students instructions to highlight the principle you just taught as they write their essays. This allows me to quickly identify whether students are using what I taught correctly, before they hand in their assignments for grading. 2. Don’t try to do too much with any single formative assessment. Feedback is most effective if it’s given during the writing process. That means that formative assessment must be very quick and easy for me as a teacher. By formatively assessing just one or two skills or standards that I taught that day, I can diagnose which students have a lack of understanding as they are writing. 3. Even on a formative assessment, don’t allow a student to pass until they have a minimal understanding of the concept you taught and are assessing. This is very important, from both philosophical and pragmatic standpoints. First, you must decide what constitutes minimal understanding. If you are in a PLC, this should be decided as a team for each standard on the rubric. In my own department we typically have established minimal understanding to be at the Understanding Level of Bloom’s taxonomy and students have to be able to function with at least 80% proficiency. (As an example, for simile and metaphor that would mean that students have to be able to both identify and explain why something is a metaphor and be correct 80% of the time). To use this formative assessment rubric, I would teach and model thesis statements. Then I would have students write three thesis statements from three different prompts and then choose which one they wanted assessed. Three other students filling in a MasteryConnect bubblesheets would grade each thesis. After scanning the scores into a MasteryTracker, I would be able to identify what the whole class needed and which individuals needed more instruction. This sort of information is imperative. It allows me to determine where each student, and the class as a whole, is in terms of understanding writing skills. In this way, I can immediately remediate students as they write, which is extremely powerful.